Sticky toffee pudding flavoured cake mixture with stoneware mug. Pictured in green box. A great little gift for those that love their food and to bake. In less than a minute you will have a warm and tasty cake and, a mug to keep too! Needing only a dash of butter and milk or water these are results you are not going to forget! Baking your cake in the mug provided and popping into the microwave for less than a minute. Bakedin base their ethos on wanting to give people time saving baking kits that still give the full baking from scratch experience but with a little less hassle. 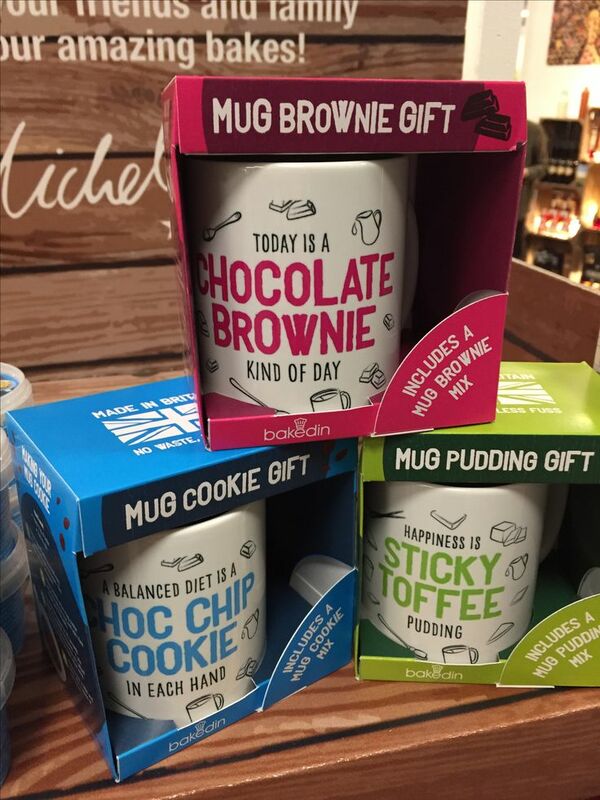 Whether it’s in a mug, a tin or from a tub these baking kits from Bakedin are guaranteed delicious with fool proof results. Not only that all recipes have been carefully devised from one of the world’s renowned pastry chefs, Michel Roux. Bakedin are fortunate to have their recipes exclusively developed for them.